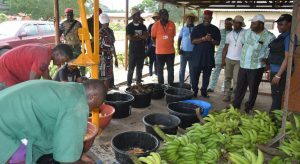 In a dialogue with staff members, IITA Onne Farm Manager Francis Adunoye pleaded with the DG to help secure the environment and set up basic amenities for the station, where scientists can work with zero disruption for effective research delivery. He also mentioned that the funding cut made by the US Government has alarmed staff and asked what strategy the Institute had to cushion the effects. Other staff members appealed for an increment in salary due to the high cost of standard of living in the State. 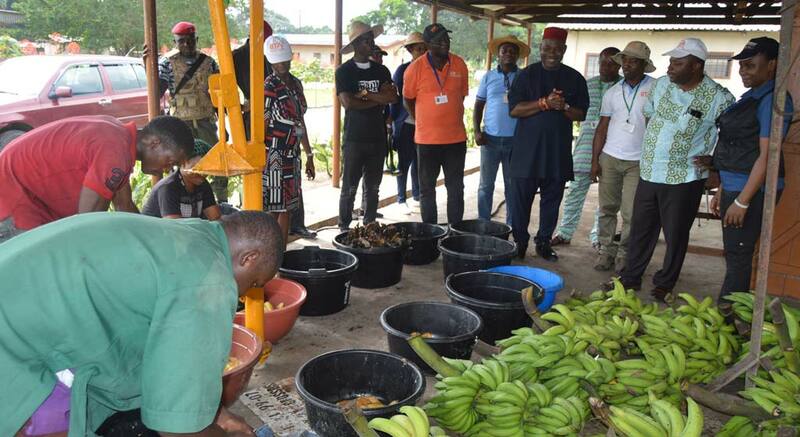 In response, the DG stated that IITA Onne has potential for business opportunities such as a banana/plantain seed system, postharvest value addition, and banana juice and plantain wine production, hence he said that “no IITA station/hub will be shut down.” He, however, encouraged staff to always do their best for maximum performance.